SUP ATX Replacement Fin | Color: Black | Length: 9.25"
SUP ATX Standard Replacement Fin | Color: Black | Length: 9.25" | FREE SHIPPING! 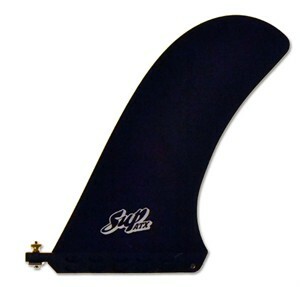 This is a great replacement fin for our own SUP ATX boards as well as most SUP boards from many manufacturers. Fin installation is very simple with our "SUP Bolt" fin installation kit that comes with all our replacement fins. No tools required! Watch our Quick Screw Installation Video. This is a great replacement fin for our own SUP ATX boards as well as most SUP boards from many manufacturers. Fin installation is very simple with our "SUP Bolt" fin installation kit that comes with all our replacement fins. No tools required! For fin installation instructions, watch our Quick Screw Installation Video.